Almost anyone can identify with us if we say, we love a good, binge out on Northern Indian food.. Me and my girlfriends are no exception to the rule.. 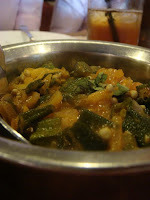 When the boy’s are away… the gals will play… and so we made plans to meet up at D’tandoor Subang Jaya. From the word GO… our eyes were more ambitious than our stomachs.. and though we were a table of less than half a dozen petite girls.. out stomachs told us otherwise.. ! I guess saying we over ordered was the under-statement of the week. Not one pretty head looked up till every last morsel was gone! As with most chicks, dessert is the highlight of the meal… and we hungrily looked around for the dessert menu..
Ooooo… we crinkled our noses and wriggled out toes in anticipated. One of my friends sips the CHAI and nods her head in approval. Ah.. perfect.. strong and sweet! There it is! 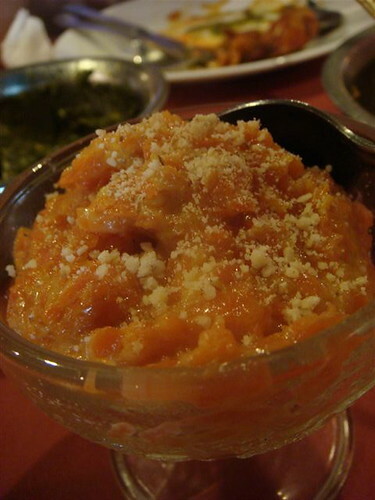 The Gajar Halwa… Gajar Halwa is a carrot pudding, which consists of grated Carrot, milk, sugar, ghee, dried fruits and cardamom in just the right (i.e. 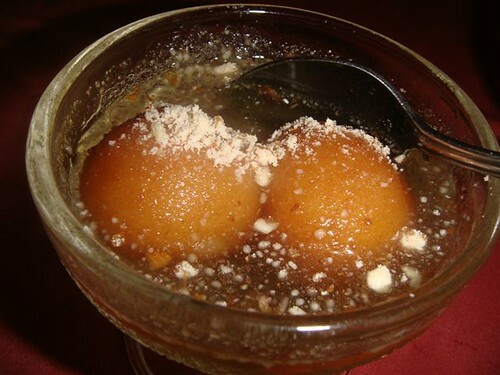 epic) proportions, is a very popular dessert in northern india. Needless to say, it was very popular with ‘the girls’ as well. No shard of carrot was spared. Grand finale.. enter Gulab Jamun! Gulab Jamun, the king of all Indian sweets (and the king of our hearts! 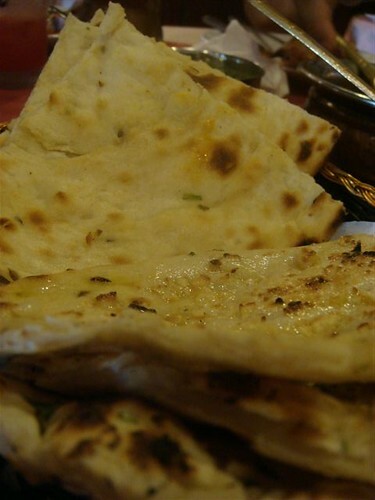 lol) , is made of a dough consisting mainly of milk solids glazed in a sugary syrup flavored with cardamom and saffron. It is very rich and sweet even without the sugar syrup coat. These killer yummie balls are deep fried in ghee till golden brown, and then served cool, dunked in loads of syrup! Good thing about having such a “sweet” ending to the evening is that, if, “we are what we eat “.. then.. us gals are as sweet as all the Gulab Jamuns, Gajar Halwa’s and chai .. rolled in one! Gulab Jamun’s one of my favourite indian desserts (next to paalkova..that delicious candy that oozes of milk). Your pics are lovely. 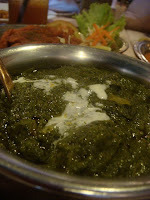 I always like the look of north indian cuisine. We get a lot of it where we are. However, I sometimes feel they are too filling as they use dairy products like cream and yogurt in their dishes instead of coconut milk. anyway… keep it up, i will sure refer to your blog whenever I am there for official duty… and I roam around for food by using your blog as my navigator… later on…. goodie! 1/2 a dozen petite big appetite gals are our cup of a team gluttons’ ultra high night ! Keep up the super momentum for the one fine day ( or issit night ) ! 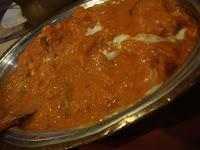 i see all my fav northern indian dishes..aiyoyo…salivating away! lyrical lemongrass: i guess i just have to try the paalkova next huh?! yum! hazza: i agree. had me zonked out for HOURS after that meal! had to run 8km later tt day .. groan! dr carolyn : glad2b of service! joe: what to do.. we overate! jojo: sugar and spice and all things… WICKED! haha!